The Royal Opera House in Covent Garden is a landmark building, a world famous performing arts venue and home to the Royal Ballet. 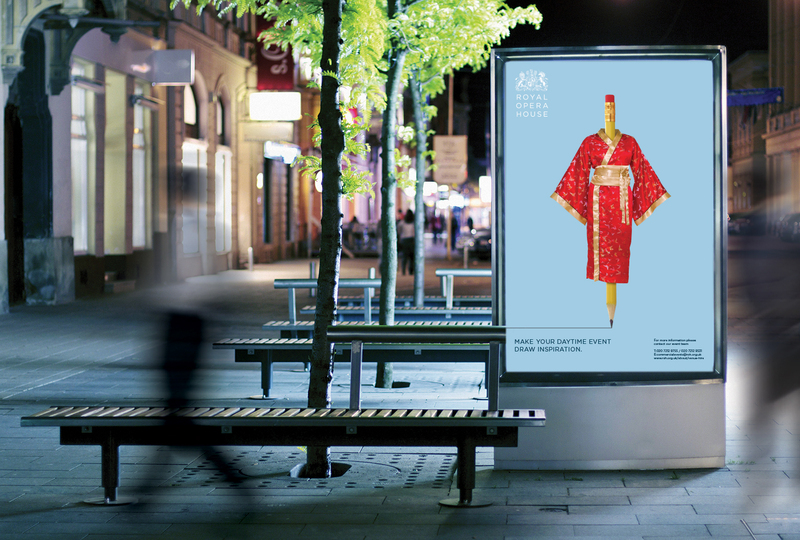 We created an award-winning campaign to advertise the venue for meetings and events. In addition to the historic interiors, a major refurbishment and extension has provided some amazing contemporary event spaces including integration of the next door glass-roofed former flower market. The venue relied on the profile of its main arts function as generator of events bookings along with listings in MICE directories. With our specialisation in venue marketing we were invited to pitch for the required venue advertising campaign which was charged with building awareness of the venue for daytime events. 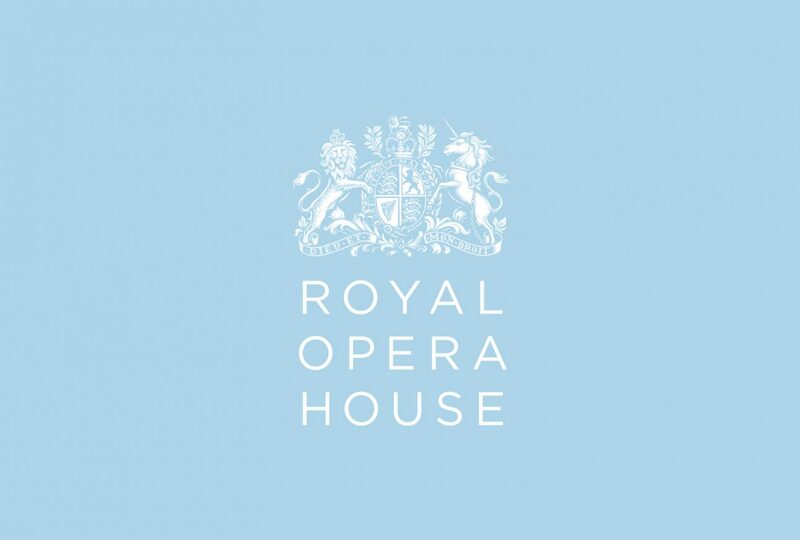 As the Royal Opera House events business had no history of advertising i.e. there is no established dialogue with market – the single-minded proposition for the campaign was simply a straight-forward ‘you CAN hold your daytime event at Royal Opera House’. 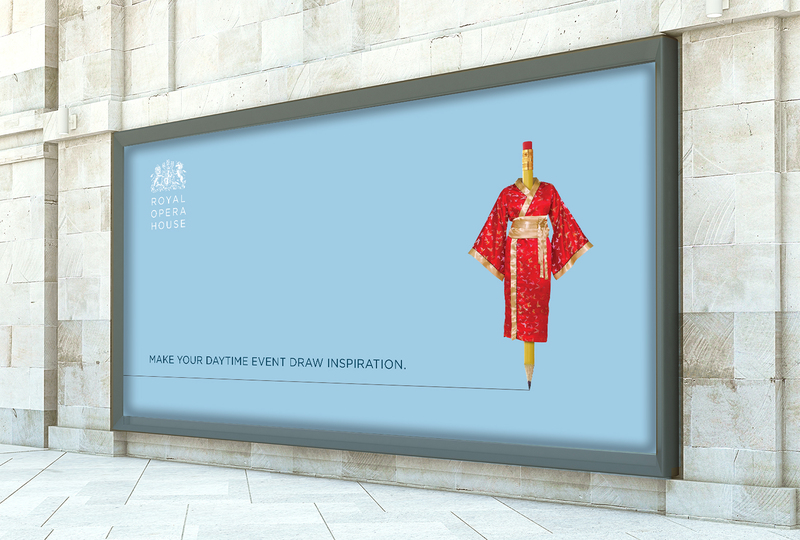 Royal Opera House is known for the creativity of its stagecraft, costumes, show advertising and also it’s architecture, so we were inspired to propose a creative opera advertising concept for this campaign. 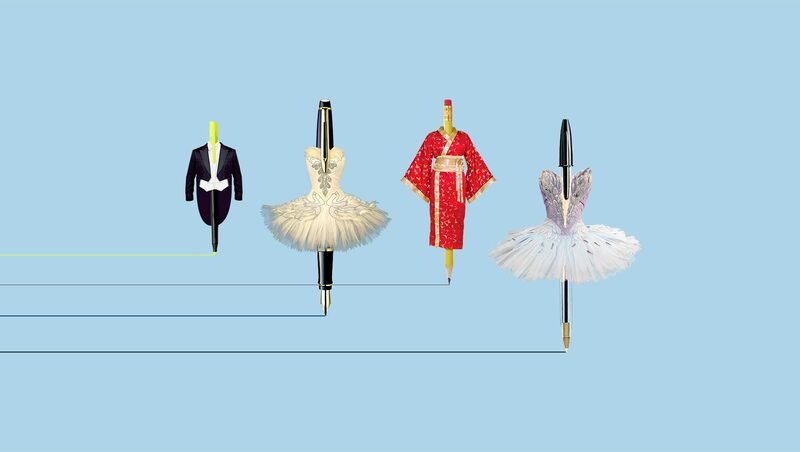 Our costumed pens (here representing the everyday tools of business) are wearing outfits associated with opera and ballet. 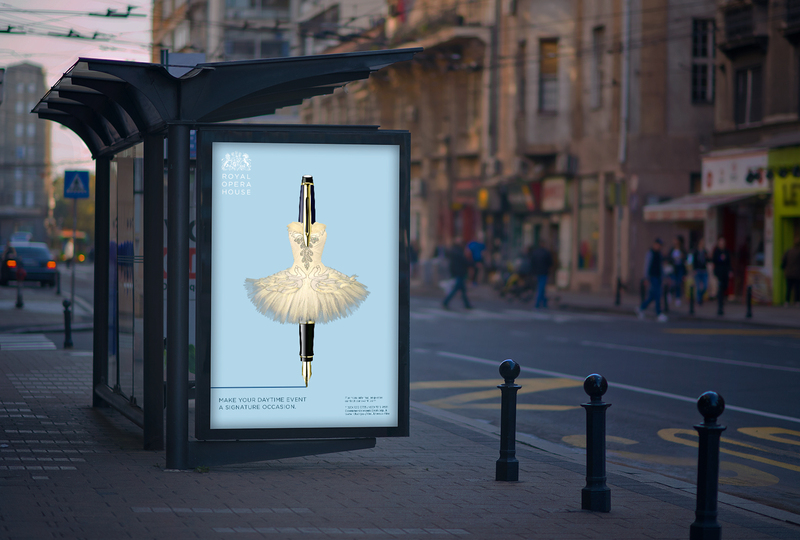 A ballpoint in a tutu for the generic execution followed by a fountain pen for corporate prospects, a pencil for not for profit and a highlighter for media. 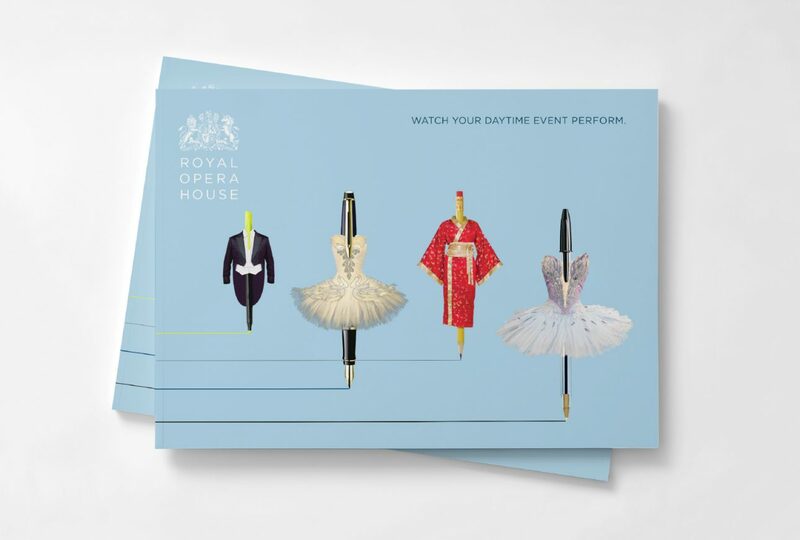 The headline ‘watch your daytime event perform’ connects business performance with the artistic excellence achieved at the ROH. 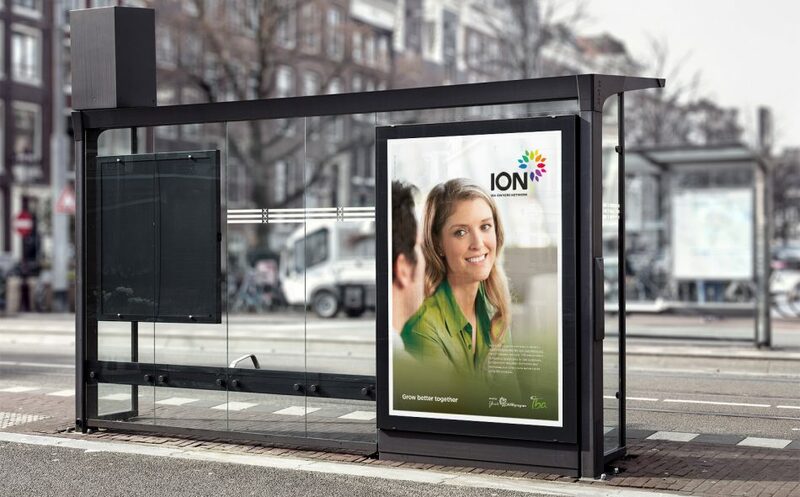 Print and OOH adverts were complemented by e-shots to a segmented prospect database. 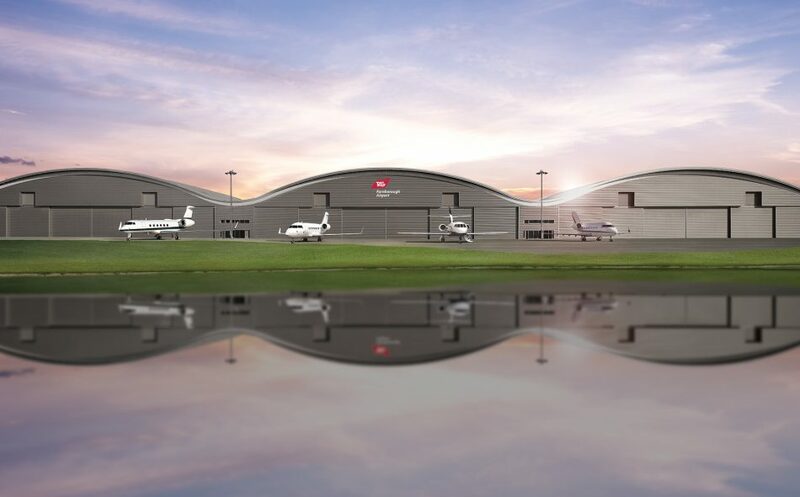 These clicked through to a campaign landing page, the meeting space brochure was rebranded and branded venue team e-signatures completed the integrated campaign. The modest aim of the awareness campaign was to secure at least enough new major event booking revenue that the campaign be self financing – target 2 major events. 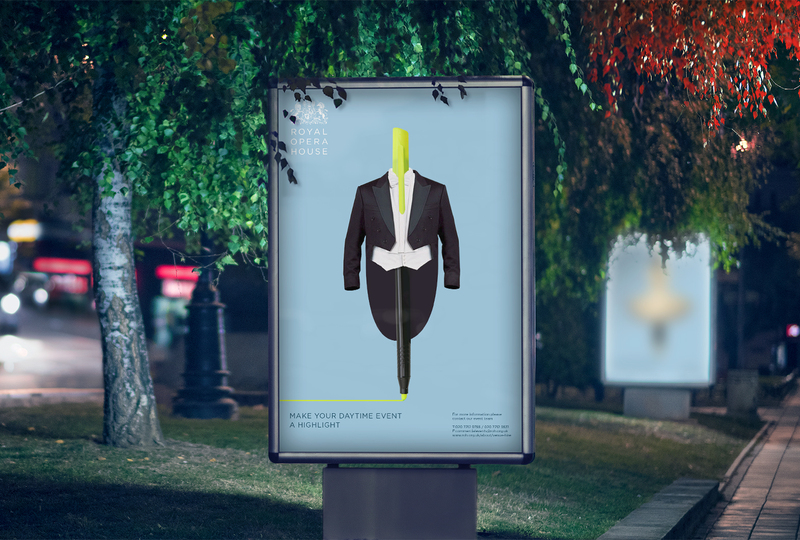 Both the above the line (advert recall) and the direct elements (48% opens) performed well above expected levels resulting in new corporate bookings into double figures and the campaign also won a Meetings Industry Marketing Awards (MIMA). 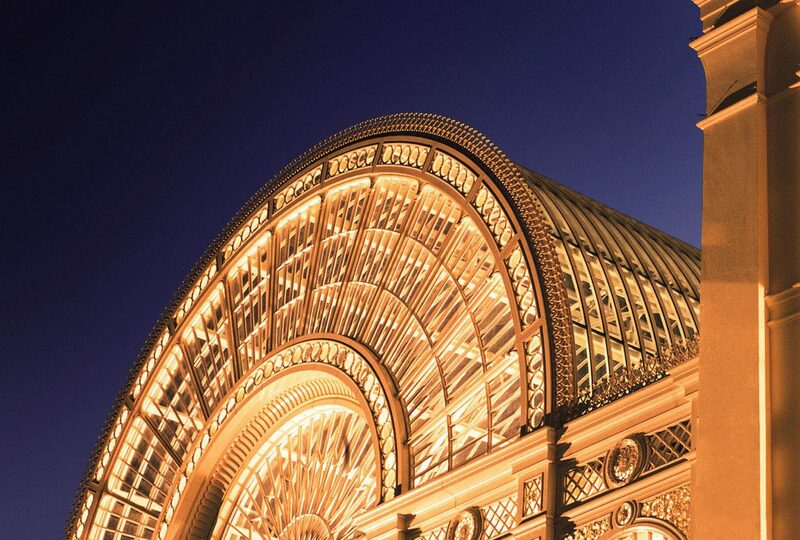 The Royal Opera House saw a 25% increase in event bookings for the first quarter of 2016 measured against 2015. 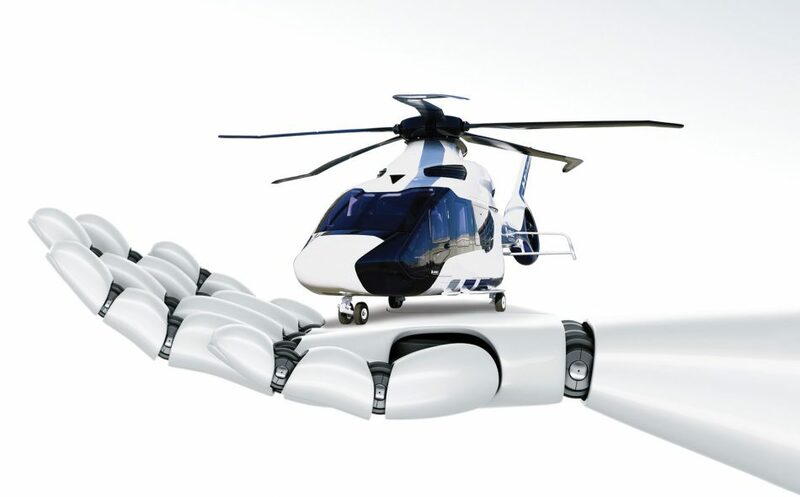 Design Inc is a full-service agency based in Surrey, UK. To discuss your own creative requirements, please contact us now.